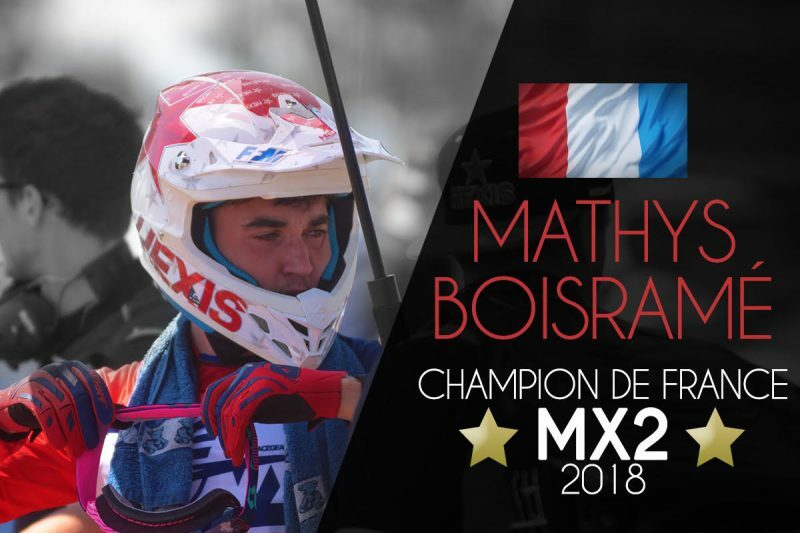 Congratulations to Mathys Boisrame who became the 2018 French MX2 champion over the weekend. On board the brand new Honda CRF250R, Mathys took the championship by a comfortable 24 points, as the rest of field were unable to cope with his consistent podium finishes. With two race wins and 11 top three finishes from 14 races, it was an extremely impressive campaign from the youngster and is further proof of just how talented he is. This result should also boost his confidence even more for the EMX250 championship where Mathys currently leads with just has four rounds left to run. As the current red-plate holder by 19 points, Mathys has proven that this Honda CRF250R is a race-winning machine at the very highest level, continually pulling holeshots and leading the highly competitive field from the front.